Not looking good for the FBI. 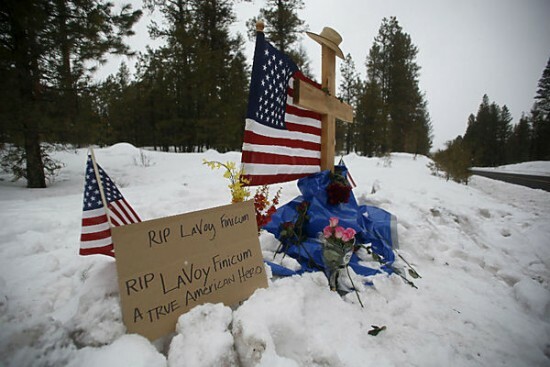 Prosecutors say witness testimony, audio and video evidence, plus bullet trajectory analysis yielded one conclusion: FBI agent W. Joseph Astarita lied about firing two shots at the truck of refuge occupation spokesman Robert “LaVoy” Finicum in 2016 after he swerved into a snowbank. The government response also reveals that Oregon State Police SWAT troopers at the scene, ordinarily required to wear body cameras, didn’t that day at the request of the FBI. The FBI did obtain video from FBI surveillance planes flying above the scene. State police detectives also normally record interviews of officers who might be involved in a shooting, but they didn’t that night when questioning the FBI Hostage Rescue Team members, again at the FBI’s request. A follow-up interview with the hostage team members also came with unusual conditions, prosecutors note.